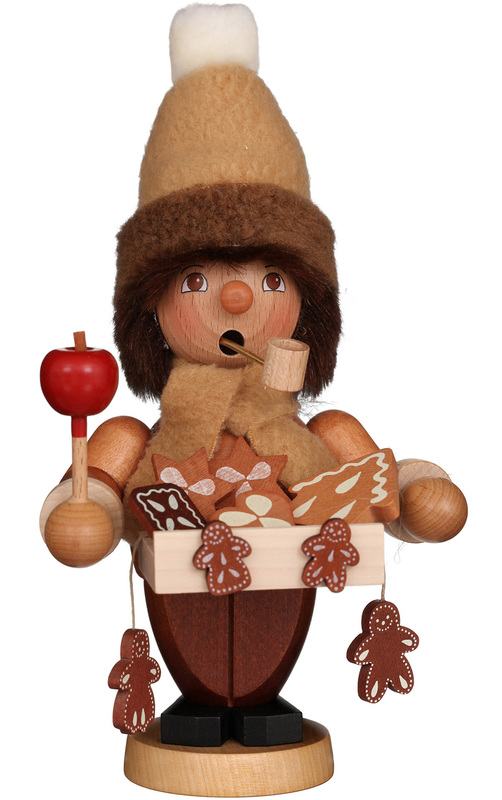 1-308 - Smoker - 8.25H x 4"W x 3.75"D"
1-308 - Christian Ulbricht Incense Burner - Cookie Vendor (Natural) - 8.25H x 4"W x 3.75"D"
The Gingerbread Vendor smoker (incense burner) in natural wood finish holds his tray of delicious cookies - and a red candy apple. His coat covers a burning cone of incense while smoke curls out of his mouth! Made by Christian Ulbricht in Germany.